One year ago today, I wrote about the negative responses Steve and I were getting to news of my pregnancy - the supposedly funny warnings that our lives were over, we would never sleep again, our relationship would be irrevocably damaged; the gloomy preference for boys over girls; and the repeated warnings not to naively hope for any sort of contentment in 2015. So, one year on, I wanted to give you an update. 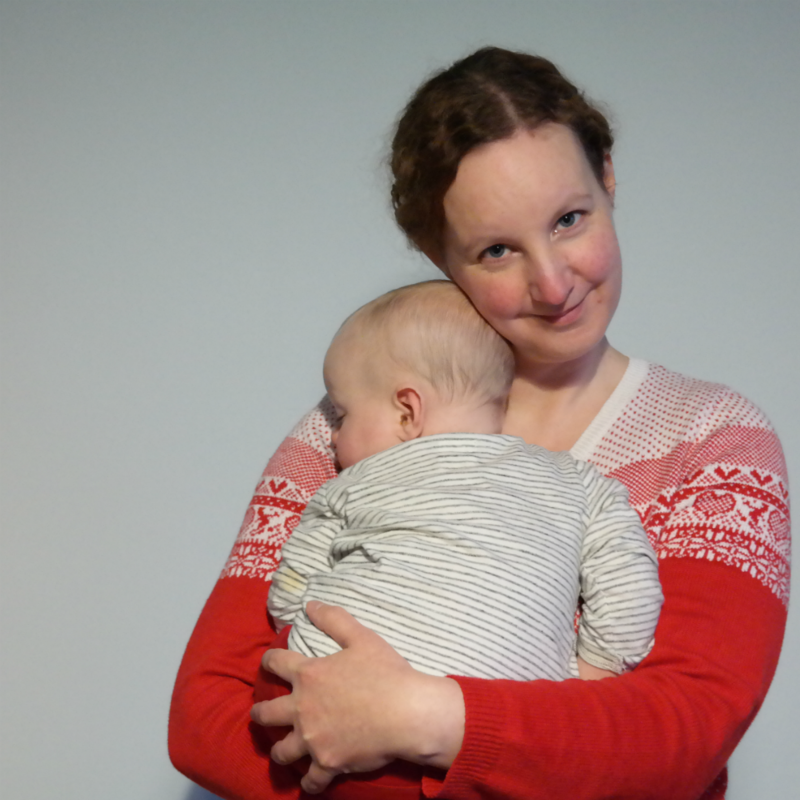 Perhaps offer some reassurance to anyone expecting their first baby and feeling daunted by the sleep deprivation. And there is sleep deprivation. Of course there is. Sleep - and lack thereof - is a huge focus of the early months and I'm not going to pretend that my circle of mum friends and I don't message one another sobbing about the bad nights and celebrating the good ones. But, first of all: it's amazing how little sleep you can cope with and still look after your baby, meet up with your friends, remember to pay the council tax and generally function. And secondly: it's not the most important part of parenthood. I drafted this is the middle of a sleep regression and I still believe sleep's not the most important thing. And your life's not over. Your relationship need not be irrevocably damaged. The early months can be filled with contentment. I don't mean in the physical "they visit a lot more often" sense (although they do). Hearing them reminisce about when we were babies and watching the ways in which they interact with our child reminds us of how much they have done for us over the years - they were the ones who rocked us through bad nights, taught us why dirty twigs should not be shoved in our mouths and allowed us to believe in magic. We are rediscovering our creativity and our ability to wonder "what if...?" Suddenly we are seeing the entertainment value in wooden spoons and cardboard boxes. We are learning to put on silly voices and ad lib nonsense conversations with toy rabbits. We are trying all sorts of different tricks to see what makes our child smile and inventing new ways to add wonder to our home. Steve, in particular, initially found it very odd how many people chat to him when he's out and about with our baby. People are curious about her, friendly towards her and much more likely to hold doors for us when we're pushing a buggy. Our neighbours not only drove us to the hospital when I was in labour but have brought gifts for her, had us round for tea and cake, and repeatedly offered to babysit. Some of our friends have been surprisingly enthusiastic about making our child a part of their lives; some of our friends have carried on as normal and that has been reassuring; some of our friends have gone temporarily quiet for reasons of their own; a tiny, tiny number of our friends have vanished. We're seeing new, positive aspects to a lot of the people we already loved; those that have vanished have left us with a sense a relief. And we have formed new friendships with other parents, too. To be completely shallow for a moment: baby clothes are the cutest. There's a lot of pleasure in choosing our baby's outfits. We also get to rediscover the books we read when we were tiny and that's been a lot of fun. Our baby was slow to start laughing but, when she did, it was incredible. Hours vanish blowing raspberries on her belly and listening to her unrestrained glee. The joy on her face when she spots one of us after any time apart (even just a few hours overnight) is amazing. Never has either of us felt so loved! Eight and a half months ago, MM could hardly do anything - eat; sleep; excrete; look stunned. Now she can play by herself, play with other people, crawl, cruise, toddle around with support, express a range of emotions, recognise herself in the mirror, smile, ask for a story, bounce up and down... oh, so many things. Every time she realises she's done something new and every time we see something click into place in her brain, the pride we feel is enormous. It's also inexplicably fast. But what I mean is: most of the stress has gone from my life. Alas, Steve still has to go out to work, but I have the pleasure of spending almost all of my time with a baby whose demands are simple: regular food; things to examine; somewhere to crawl. Our obligations to be specific places and see specific people are minimal; we largely set our own rules. Far from being irrevocably damaged by parenthood, Steve's and my relationship is stronger than ever. Yes, we have both snapped and sniped more in the past eight and a half months than ever before - it's hard not to be crabby now and then when you're tired and unsure of what you're doing - but we've also talked more. We talk about how to approach parenting; we talk about what our baby has been doing; we gaze at her together and whisper to one another, "We made that". We are doing this all as a team. If you're heading into parenthood for the first time, don't take other people's bitterness as accurate. There are tough bits, of course there are, and most parents have sobbed over a cot in the middle of the night. But the rewards are enormous. 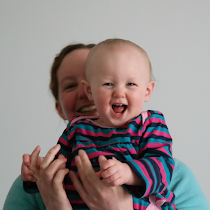 The joy is so much more than a blog post can encompass. When parenting your baby is good, it can be incredible.